First of all, let me introduce myself :) My name is Sandra and I am a beauty obsessed mum behind The Black Pearl Blog. I write about makeup, skincare, home decor and lifestyle and I am obsessed with photography. 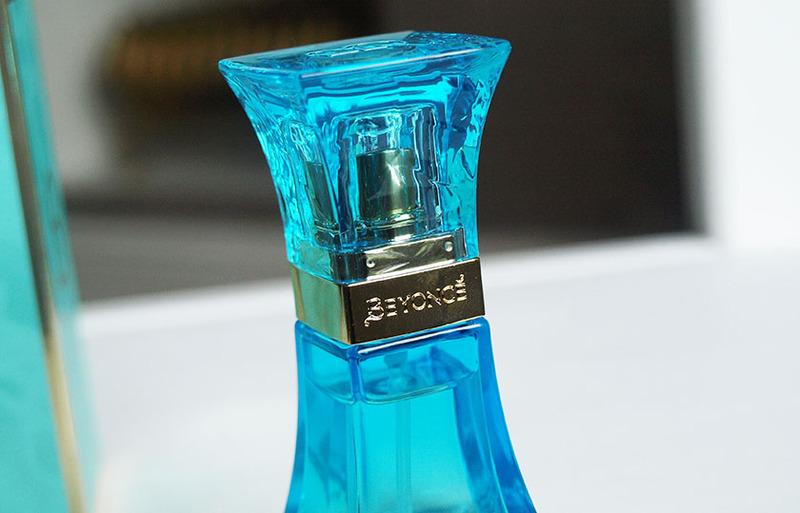 When Nic asked me, if I would like to guest post on her lovely blog and review the new Beyonce EDP, I couldn't say no. I really like the original Heat EDP I got for Christmas 2011, so I was very excited to try the new version. 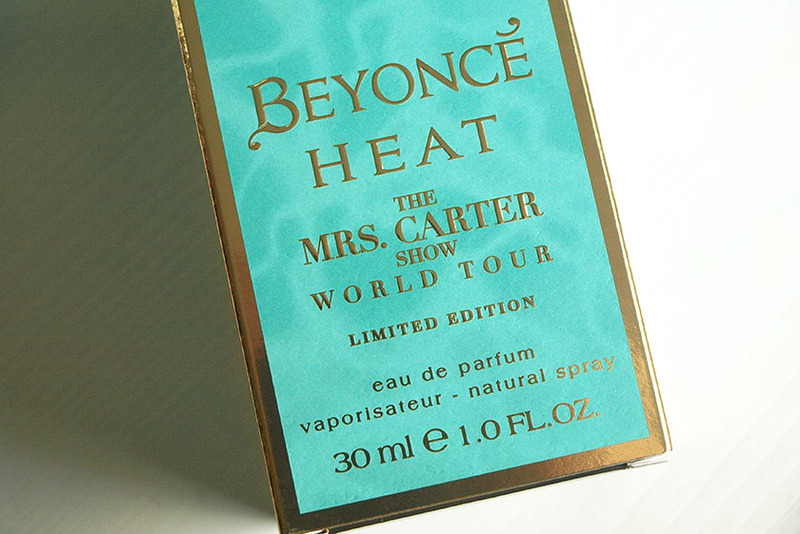 The Limited Edition Beyonce Heat The Mrs Carter Show World Tour Fragrance (very long name!) was released to celebrate Beyonce's historic tour and treat her fans to a brand new scent just in time for Christmas. I must admit - celebrities don't really excite me, but... I don't mind using their fragrances, because they are usually more affordable than other perfumes and often unique. I was pleasantly surprised with the original Heat EDP and it's sweet and spicy notes, so I expected to like the new lighter, floral version too. 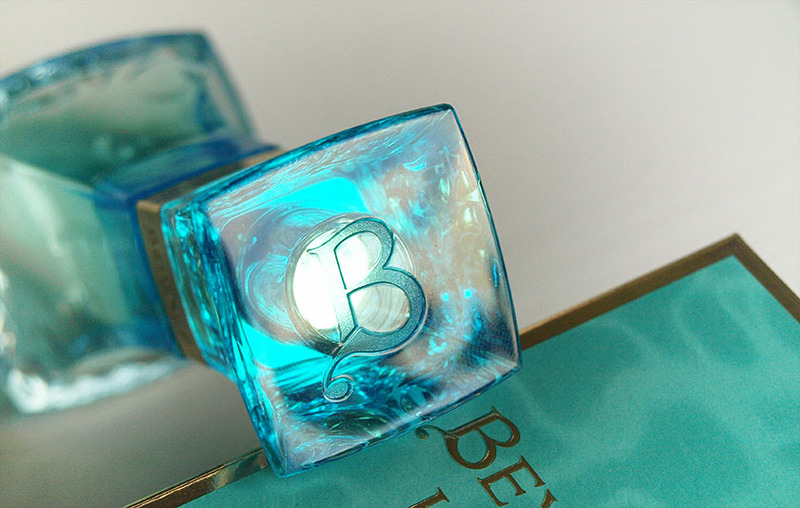 Beyonce Heat The Mrs Carter Show World Tour Fragrance comes is the same gorgeous packaging as the original, but this time the bottle is a beautiful aqua blue colour, which I prefer. The 30ml bottle retails at £14.99, but... you can currently buy the 100ml bottle from Superdrug for only £19.00 (here)! Bargain! The fragrance itself is described as a powdery and sweet aquatic floral, featuring top notes of Pink Pepper, Acai and Purple Mangosteen; middle notes of: Orchid, Jasmine and Violet Petals and bottom notes of Vetiver, Sandalwood and Vanilla. 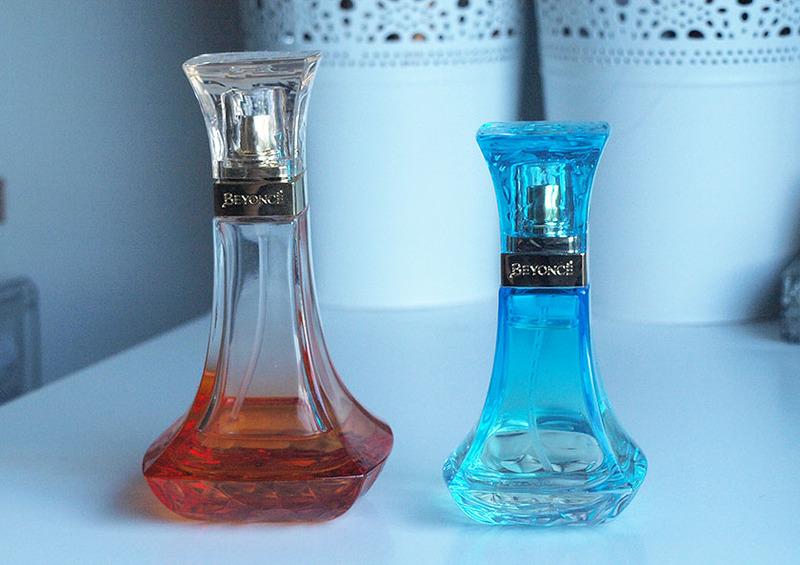 If you like fruity floral scents, you will probably enjoy using Beyonce's new creation. It isn't an overpowering fragrance and it is lighter than the original, but it lingers on my skin all day and settles to a sweet and woody scent after a couple of hours. Gorgeous! 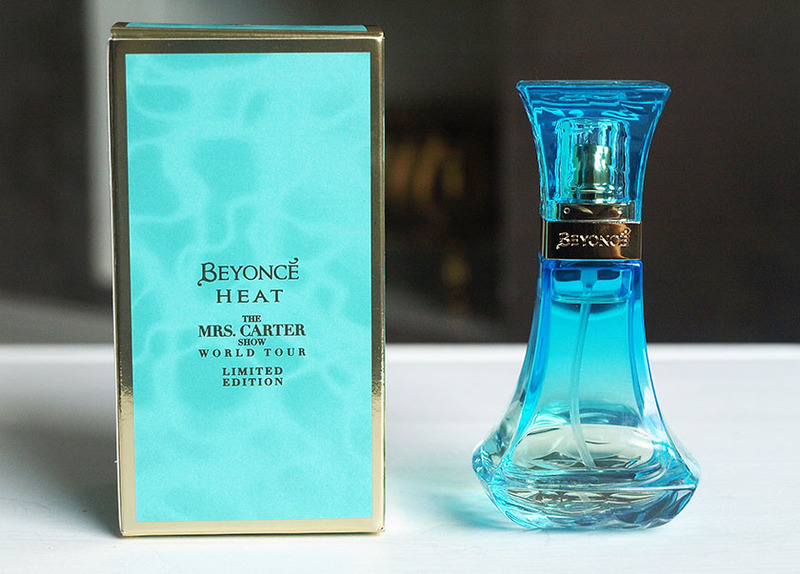 Overall the Limited Edition Beyonce Heat The Mrs Carter Show World Tour Fragrance would be a great present this Christmas, especially if you buy the 100ml bottle at a discounted price. You can buy it from Boots, Superdrug, The Perfume Shop and other stockists.